Racing Club vs. Estudiantes. 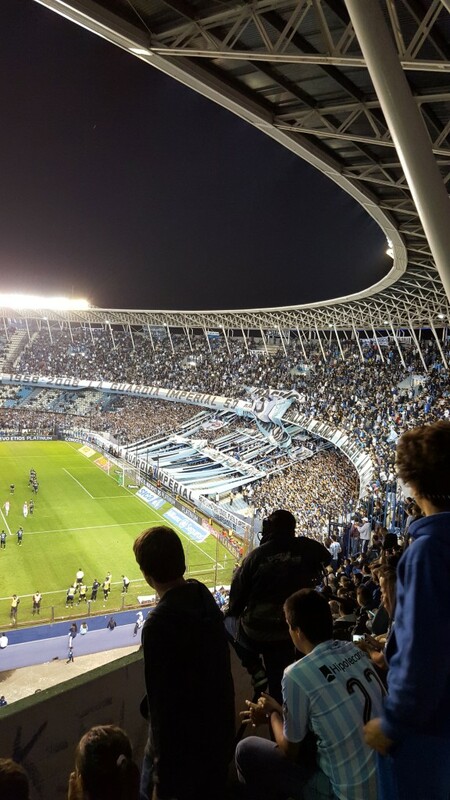 An amazing atmosphere on a mild November evening, proving that Buenos Aires has way more to offer than just Boca Juniors and River Plate. The fan favourite Diego Milito was sent off as Racing Club went through to the Copa Sudamericana playoff final.